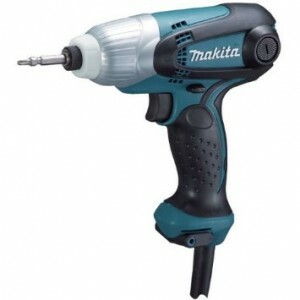 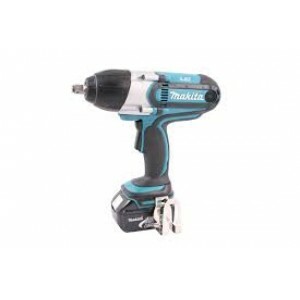 Makita TD0101 Impact Driver (100 N. m) Externally accessible carbon brush, No harm to the wrist when a screw is seated,Enables to drive screws even without pre-drilling pilot holes.Compact design for perfect handling ,Externally accessible..
HITACHI WH10DFL10.8V Cordless Impact Driver Features: Compact body and Lightweight Overall Length: 151mm (5-15/16"), Weight: 1.0kg (2.2lbs.) 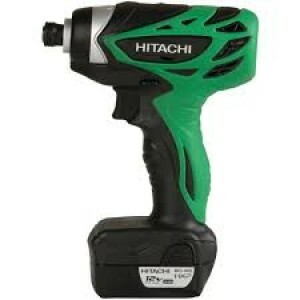 Powerful Tightening Torque: 95Nm (840in-lbs.) 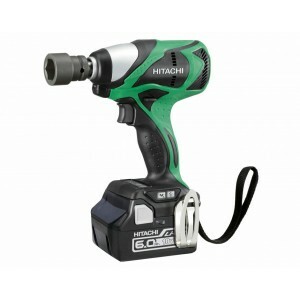 Slim Handle shape for comfortable use Grip ..
Hitachi WH10DL Cordless Impact DriverCompact and Light weightMax torque : 105Nm (930in.-lbs. 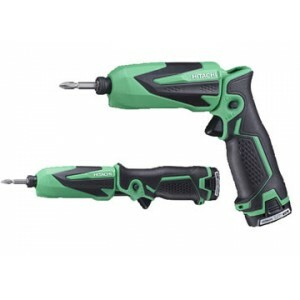 )Slim Handle shape for comfortable use.Grip perimeter : 130mm (5-1/8")1.5Ah Li-ion Battery (Light weight, Long life)Caution indicator of battery re..
Class leading torque - 1,240 in-lbs to power through the toughest jobs with ease .Industrial grade, two-piece motor with heavy gauge copper coils that make it the most powerful and long lasting .Hitachi’s unique Cool Flow system provides a..
Hitachi WH14DSAL Cordless Impact Driver14.4V and max Torque : 140Nm(1,240in.-lbs).Slim and soft grip handle.Built-in white LED light.Slim hook.High capacity 4.0Ah Lithium-ion battery provides longer runtime per charge than 3.0 Lithium-ion battery.Mul..
Max torque: 145Nm(1,280in-lbs. 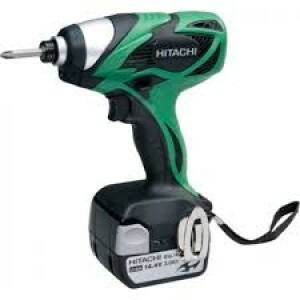 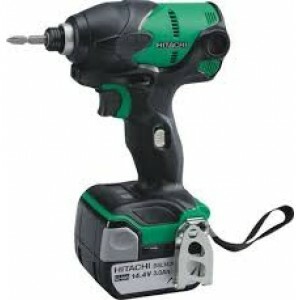 )Lightweight 1.4kg with 3.0Ah-Capacity lithium-ion slide batterySlim Grip Perimeter: 118mm (4-21/32") at the smallest portion45-mim charger UC18YRSL with fanTwo mode power: Save mode for small bit or Power mod..
Hitachi WH18DBDL Cordless Impact Driver18V and max torque : 160 Nm (1,420in.-lbs)Hitachi's efficient brush less motor works approx. 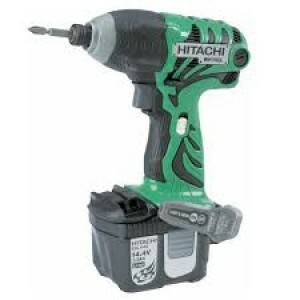 55% more than our conventional brushed DC motor per battery chargeEasy to adjust to drive small screws by 3..
Hitachi WH7DL Cordless Impact Driver Features : Highest tightening torque in its class: 25Nm * As of March, 2013. 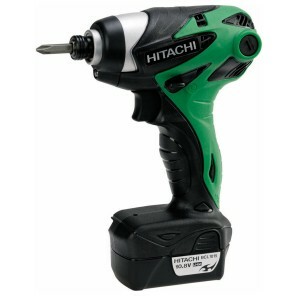 Among 7.2V cordless impact drivers made by Japanese power tool manufacturers, surveyed by Hitachi Koki. 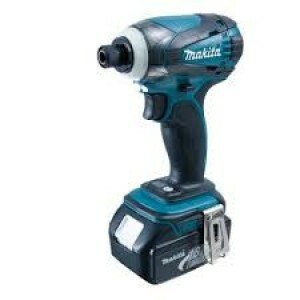 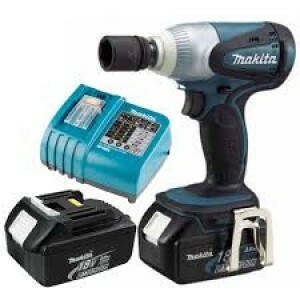 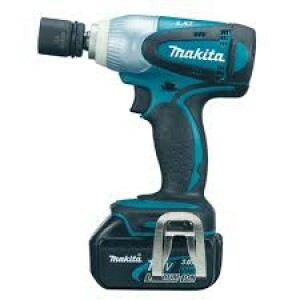 The example of use Newly de..
Makita BTD146RFE 18 V Cordless Impact Driver (2 Batteries)- Compact design with a short overall length of 138 mm (5-7/16").- Enhanced dust and drip proof performance.- Max fastening torque: 160 N.m (1,420 in.lbs).- The power remaining in the battery ..
Makita BTW251RFE 18 V Cordless Impact Wrench (2 Batteries)- High torque to weight ratio at 230 N.m (2,040 in.lbs).- Compact provides more control and maneuverability.- High power, compact and lightweight 4-pole motor.- LED job light with afterglow fu..
Makita BTW253RFE Cordless Impact Wrench ..
Makita BTW450RFE Cordless Impact Wrench ..